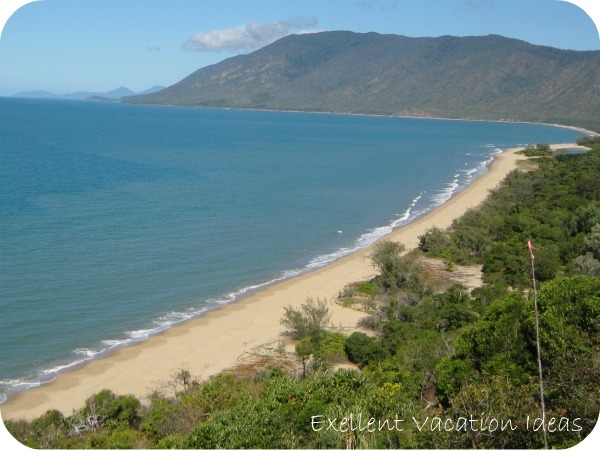 Excellent Vacation Ideas - Come see What's New! 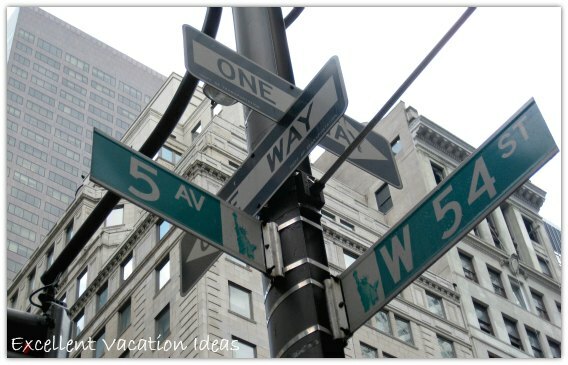 Continue reading "One Perfect New York Day"
Check out these great rush hour games for your next trip with your kids. Continue reading "Rush Hour Games"
Norwegian Pearl Restaurants - See what we think! Norwegian Pearl Restaurants - Get the scoop on the included and extra charge restaurants. We really enjoy the extra charge restaurants as we enjoy the choices of types of food we can enjoy! Even if you are going on a different NCL ship, many of the restaurants are the same from ship to ship. Continue reading "Norwegian Pearl Restaurants - See what we think!" Chance to win $310 in Paypal Cash or Amazon Gift Cards!!! Enter to win cash for your next vacation! Enter the Spring Cash Bash for a chance to win $310 in Paypal Cash or Amazon Gift Cards... Could definately help with paying for your next summer vacation! Continue reading "Chance to win $310 in Paypal Cash or Amazon Gift Cards!!!" It's Oscar Weekend! All the Action will be at Hollywood and Highland in Hollywood! Oscars are This Weekend! What a Great Vacation Idea! Visit Hollywood and Highland for all that Oscar has to Offer! Ever dreamed of going to where the Oscars are hosted each year? All the action happens at the Kodak Theater in the Hollywood and Highland Center! We love Hollywood Blvd and this hub bub of tourism and go every time we go to Los Angeles! Continue reading "It's Oscar Weekend! All the Action will be at Hollywood and Highland in Hollywood!" The Norwegian Pearl - Thinking of booking the NCL Pearl for your next cruise? Here is what we thought of it! The Norwegian Pearl - Rated as the number one Norwegian cruise Lines ship in the NCL fleet. Come see why and check out our experience on the NCL Pearl. Continue reading "The Norwegian Pearl - Thinking of booking the NCL Pearl for your next cruise? Here is what we thought of it!" Would You Rather go on Safari or SCUBA? 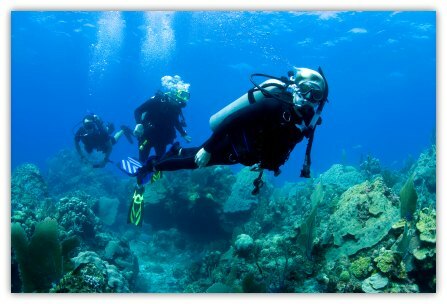 Would You Rather Take a Safari or a SCUBA trip? – Click on the photo or the link above to tell us which you would rather take! And Don’t forget to like our Facebook Fan Page while you are there to get some excellent vacation ideas for your next holiday with or without the kids! 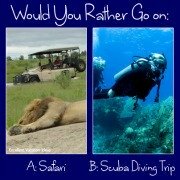 Would You Rather go on Safari or SCUBA?" Did You See our “Would You Rather” Question This week? 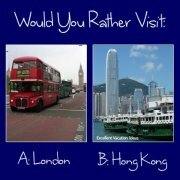 Would You Rather Visit London or Hong Kong? – Click on the photo or the link above to tell us which city you would rather visit! Did You See our “Would You Rather” Question This week?" Vacation Idea of the Week: Hong Kong! 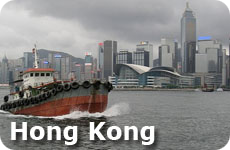 Hong Kong is one of the most exciting cities in the world! Check out what we think is one of the coolest cities in the world! It is where East meets West and is a great introduction to China. It really is a city that everyone should visit at some point in their lives. Can you tell we love it? Vacation Idea of the Week: Hong Kong!" Vacation Idea of the Week: Take a cruise vacation! Taking a cruise is one of the best ways to please the whole family. We love to cruise and we know you will too! There is so much to do, food to enjoy and places to see on a cruise. Come see why we think it is the best vacation idea for families or romance! Vacation Idea of the Week: Take a cruise vacation!" Vacations Idea of the Week: Take a Beach Vacation! What is the best beach to plan a beach vacation this year? What criteria do you have when it comes to choosing a beach. Do you like a busy, long sandy beach? Or a private rocky beach? Where in the world is the best beach for you? Join our discussion here. Vacations Idea of the Week: Take a Beach Vacation!" Last March we took a family cruise on the NCL Pearl and loved it! We had been on many NCL cruises, but had not cruised on the Pearl before. We loved the itinerary, and enjoyed the ship. The bowling alley was great fun! Come see a little about our adventure and what we thought of the trip. It may help you decide what your next vacation idea will be! Our Experience on the NCL Pearl"
Did You See our Fan Photo the week? We hope you didn’t miss the Fan Photo of the week – It is a beautiful photo of Cabo Matapalo Beach in Costa Rica. Continue reading "Did You See our Fan Photo the week?" Our Vacation Idea of the Week is Las Vegas! Las Vegas is our Vacation Idea of the week! Las Vegas is the best vacation getaway, especially for a romantic weekend away! Not only can you enjoy some of the best restaurants in the world, but Vegas has the best wine selection then probably any other city in the world! You don’t have to gamble to have an amazing weekend in Las Vegas. Come see what other fun things make Vegas an excellent vacation idea! Continue reading "Our Vacation Idea of the Week is Las Vegas!" Continue reading "Check out our Expedia's Vacation Deprivation Contest Entry"
There is Something for EVERYONE in California! Continue reading "There is Something for EVERYONE in California!" A great romantic holiday, and if planned well can be an amazing family trip as well. Enjoy the shopping, sights, mountains, beaches, history or just relax in a spa. Our favorite thing to do in Europe is to sit and enjoy the culture at a local cafe! Continue reading "European Vacation Ideas"
Why Not Take a Shopping Trip to New York City This Holiday Season? New York City is open for business after Super Storm Sandy, and there is no better place to get your holiday shopping done then New York City. The shopping is like no where else and you can find something for everyone on your list, guaranteed! So why not take a weekend away and enjoy the festive sights and sounds while getting all of your shopping done! Continue reading "Take a Trip Shopping in New York this Holiday Season"
Planning a Trip to California? Here are some Great Tourist Attractions that you don’t want to miss! California is such a diverse state and it can be overwhelming when choosing what areas to visit and what to do. Here are some of our favorite California attractions from Los Angeles, to San Diego, to San Francisco. Whichever city you choose, Try and do a Hop on Hop off Bus tour when you first get there so you can get a feel for where you want to go back to. Continue reading "Our Collection of California Tourist Attractions"
Have you Tried Freestyle Cruising yet? Have you Tried Freestyle Crusing with NCL Yet? If you like to cruise, or haven’t tried cruising yet, then Freestyle cruising with Norwegian Cruise Lines may be the cruise vacation idea for you. See the difference between traditional cruises, and freestyle cruises and see why we prefer NCL’s freestyle cruises. When deciding on a cruise, the first place we look is NCL! Continue reading "Have you Tried Freestyle Cruising yet?" Tired of the same vacation or type of vacation year in and year out? Why not take a themed vacation with or for that matter without the kids. Check out some of our ideas for creating a vacation idea around something that interests or excites the whole family! Continue reading "Vacation Idea of the Week: Take a Theme Vacation"
Not Sure where to Go in Florida this Winter? What about Cape Coral? Cape Coral is a great area in Southwest Florida for people who like spend their vacation boating, fishing or just relaxing.It is a beautiful little community that was planned and built along 400 miles of canals, giving more people access to the waterways.Cape Coral is easy to get to and a great add on to a family vacation in Orlando! Continue reading "Visiting Florida this Winter? What About Cape Coral"
A Visit to the Griffith Observatory is a Great Vacation Idea! This is a "DO NOT MISS" attraction in Los Angeles, California. 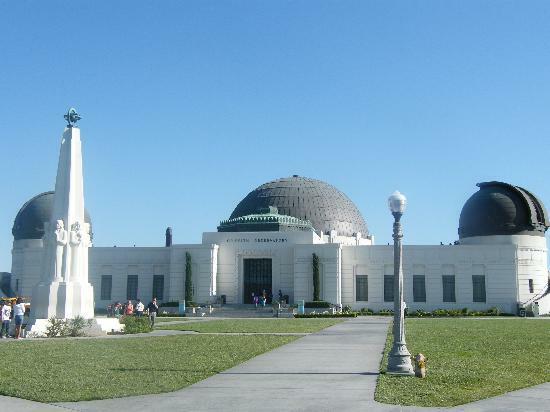 The views are spectacular, a visit to the observatory and grounds are FREE and it is a great way to spend a few hours in the Hollywood Hills. To get more out of your visit, make sure you take in a show at the Planetarium and don't miss the free movie narrated by Leonard Nimoy about the history of this amazing attraction. Continue reading "Griffith Observatory in Los Angeles"
Vacation Idea of the Week: Anguilla! Anguilla is one of the most beautiful and romantic islands I have ever visited. It is the perfect Romantic vacation idea. So if you are looking for a beautiful Caribbean island to take your honey too, consider one of the many world class resorts on Anguilla. Or better yet rent a house and a car for a week and enjoy the quiet and secluded beaches throughout the island. Continue reading "Vacation Idea of the Week: Anguilla!" 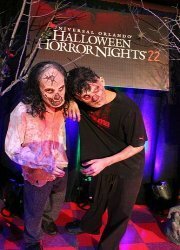 If you are in Orlando or the Orlando area this weekend, Don't miss out on Universal Studio's Halloween Horror Nights 22. It is one of the best Halloween attractions in the USA. Here we give you tips on how to enjoy it and get the most for your money, and answer the question "Can I take the kids?" It may even inspire you to plan a trip to Orlando next October! Continue reading "Halloween Horror Nights at Universal Studios Florida"
If not, then please stop on by and get your free gift for liking our page. Not only will you become apart of a great community of travelers, we will update you with what is new on our website and share photos and ideas not available anywhere else. This FREE eBook is only available on our Facebook Page, so if you are planning a road trip this holiday season, then make if fun and easy with these 10 excellent tips! Just click on this link and it will take you right to where you need to go. Continue reading "Get our Newest eBook FREE"
This Week's Vacation Idea of the Week is Hawaii! Our vacation idea of the week is Hawaii! What a great idea for a memorable family vacation and of course for a beautiful romantic vacation. You will find something for everyone on one of the 4 main islands, or on the smaller romantic islands. You can go beach combing, hiking on the Napali coast, touring a volcano, scuba diving, dining in fabulous restaurants, or just lie on the beach. Hawaii has it all! 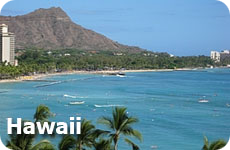 Continue reading "This Week's Vacation Idea of the Week is Hawaii!" Our Vacation Idea of the Week is Bali! 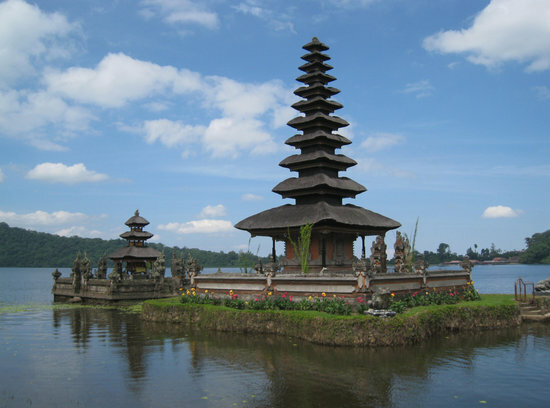 Our vacation idea of the week is Bali Indonesia! It's a perfect idea for a beautiful romantic vacation or a great family vacation. Enjoy the beaches, culture, spectacular service and great activities in Bali. Continue reading "Our Vacation Idea of the Week is Bali!" Excellent vacation ideas and tips to inspire you for your next vacation with or without the kids. Find top vacation spots close to home, like Hawaii, Florida, or Las Vegas or some not so close to home like Asia, Australia or Europe. You will also find ideas on what kind of vacation to take, from quiet and relaxing to adventure vacations to cruises. 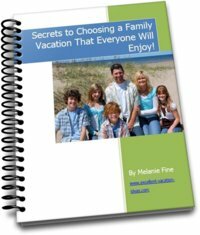 Continue reading "Excellent Vacation Ideas to inspire you when choosing your next vacation with or without the kids!" Ideas for Romantic Vacations and destinations to inspire and excite you! Check out these ideas for romantic vacations, they will inspire you, excite you and maybe even add to the romance in your relationship! Whether you are looking for a new destination or a different idea for a vacation together, you will find excellent ideas here! Continue reading "Ideas for Romantic Vacations and destinations to inspire and excite you!" Great Stirrup Cay - See pictures of NCL Cruise Lines Private Island, see what you can do there, and check out what we did. It's a great place to relax for a beach day! Continue reading "Great Stirrup Cay - Looking for Information about NCL Cruise Lines private Island? You will find it here..."
10 Tips for planning a road trip with your family - Make your road trip a great memorable experience for everyone! Here are 10 tips to make it easy and fun. Continue reading "Planning a Road Trip with Your Family Doesn't have to be Torture. 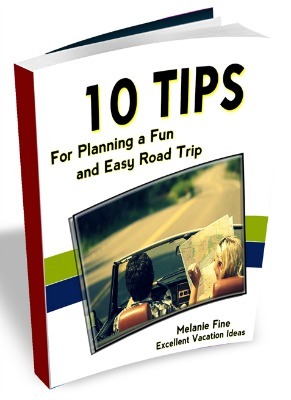 Check out our 10 Tips on How to make the vacation idea - a family road trip - fun and easy!" Romantic Vacation Destination Ideas to inspire you including ideas in Europe, the Caribbean and Australia. Continue reading "Romantic Vacation Destination Ideas To inspire you, including Europe, the Caribbean, and Australia." Elbow Beach Bermuda is a beautiful hotel located on a private Bermuda Beach. Elbow Beach Bermuda is a quiet, private resort, located on the south shore of Bermuda. Not only is it rated a 4-5 star resort, this resort sits on a 1/2 a mile of private beach. Perfect for families or romance! Continue reading "Elbow Beach Bermuda is a beautiful hotel located on a private Bermuda Beach." Maui Pictures - share your pictures of Maui, we would love to see them and so would our visitors! Continue reading "Maui Pictures - share your pictures of Maui, we would love to see them and so would our visitors!" The TSA in the USA may go through your checked luggage. See which locks they approve of and can get into while travelling in the USA. Continue reading "TSA Luggage Locks - Locks Approved by the TSA"
Inflatable travel pillows are a great way to get comfortable when you want to sleep or rest while travelling. Here are a few that you may want to consider, some are better for cars, others for planes or trains. Continue reading "Inflatable Travel Pillows"
Central Park New York is one of the best romantic or family vacation ideas. Take a break from the city at any time of year and enjoy New York Central Park. Continue reading "Central Park New York is one of the best romantic or family vacation ideas"
Continue reading "New York Yankee Stadium and the Mets Stadium"
MGM Grand in Las Vegas - An amazing property to have a romantic or a family vacation! We love to stay at the Skylofts at the MGM although we can tell you what the rest of the MGM accomodations are like as well. Continue reading "MGM Grand - Las Vegas is one of our favorite resort casino properties in Las Vegas." Las Vegas Restaurant Guide from Romantic to Casual - Steakhouse to Asian Food to Italian to Burgers! On this page you will find our favorite Buffet and Asian Bistros. Continue reading "Las Vegas Restaurant Guide Continued - Here are our favorites!" Elton John Las Vegas - He is returning to the Coliseum in Las Vegas - Find the dates, location reviews and prices for tickets. See Elton John Las Vegas. Here you will find some reviews, videos, dates and ticket prices to Elton John's Million Dollar Piano show at Caesars Palace in Las Vegas. Continue reading "Elton John Las Vegas - He is returning to the Coliseum in Las Vegas - Find the dates, location reviews and prices for tickets." Treasure Island Hotel Las Vegas is a great mid priced hotel on the Las Vegas Strip. 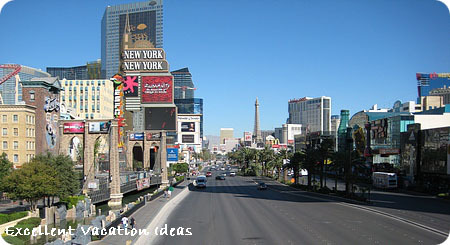 The Treasure Island hotel Las Vegas is a great mid priced hotel for romance or for the family. Continue reading "Treasure Island Hotel Las Vegas is a great mid priced hotel on the Las Vegas Strip." Continue reading "Things to Do in Boston - Looking for some romantic ideas in Boston? Here are some great ideas for the summer or the winter." A Vacation in Maui Hawaii is a great Hawaii Vacation. Not only is Maui one of the most popular Hawaiian islands the natural beauty of this island is spectacular. Maui has world class resorts, condos, dining and attractions. Continue reading "A Vacation in Maui Hawaii is a great Hawaii vacation idea for a romantic or family vacation." Continue reading "Your Florida Vacation Guide"
A Romantic European Vacation is a great vacation idea for spending time together, exploring new cultures and history, and to renewing the romance in your relationship. Continue reading "A Romantic European Vacation is a great vacation idea for spending time together, exploring new cultures and history, and to renewing the romance in your relationship."